These civilian soldiers, airmen and naval types returned to Canada to resume their lives at university or employment, many marrying English/Dutch girls or previous Canadian girlfriends. 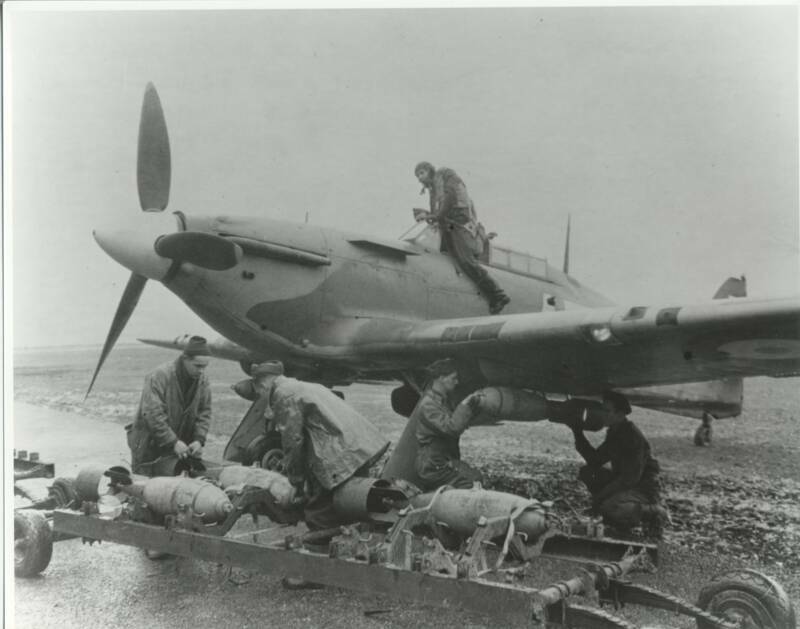 The large allied air forces had taken the combat fight to the air, thus reducing the casualties on the ground. 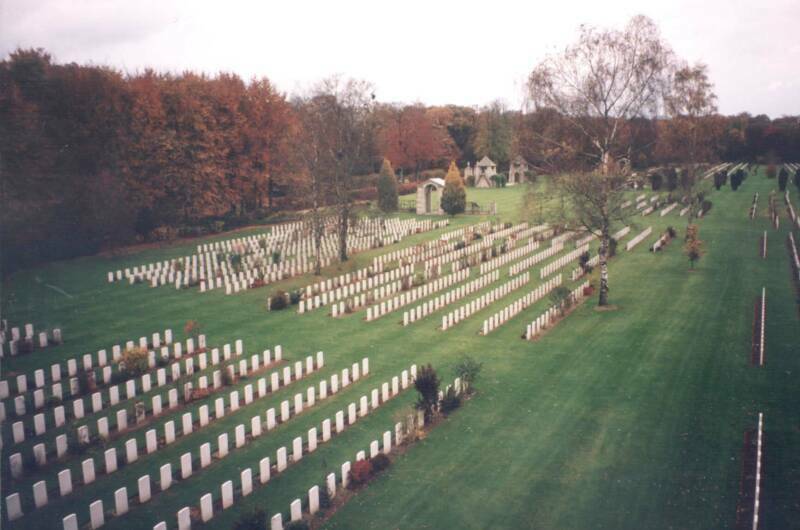 There were 55,000 airmen whose graves are unknown as their remains were never found. 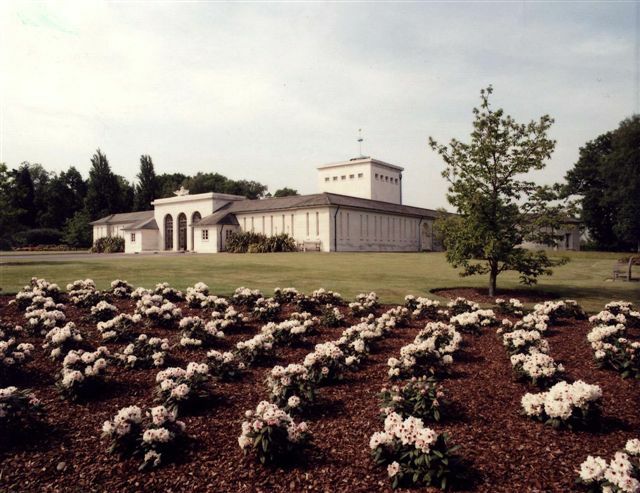 Their names appear on the memorial at Runnymede, England. 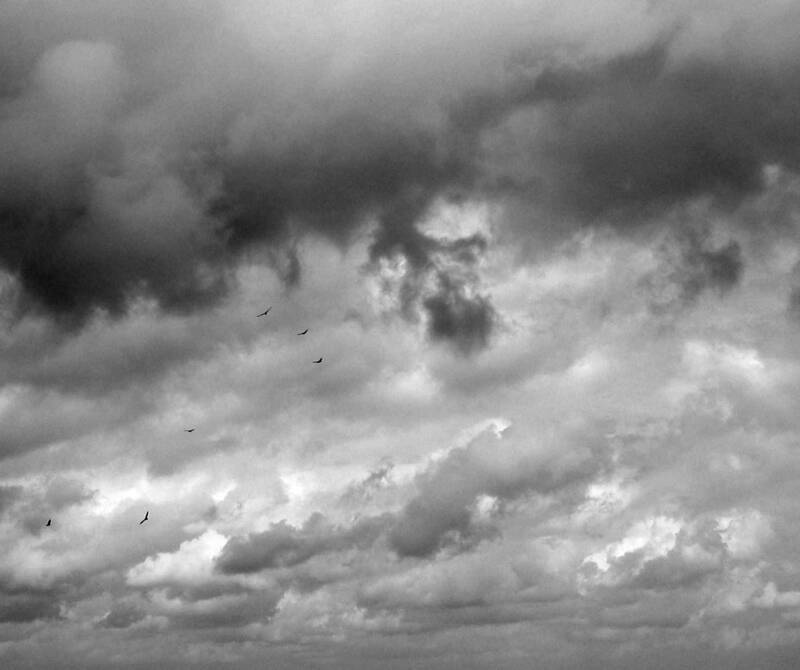 The challenges of air flight have intrigued inventors for centuries with attempts being made in hot air balloons, glider wings and by imitation of birds. 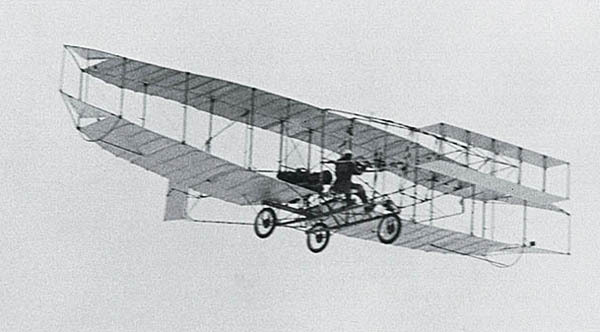 February 23, 2009 marked the 100th anniversary when a Canadian, John A. D. McCurdy, made the first successful attempt flying his biplane - the Silver Dart - more than a 1/2 mile (0.8 km.) across Bras d'Or Lake near Sydney, Nova Scotia. Numerous attempts had been made for many years and finally, with a gasoline engine mounted on the fuselage of a bi-plane - the Kitty Hawk - was first successfully flown December 17, 1903 by Orville Wright when it was launched from a 60-foot (18 meter) rail on a sand flat in North Carolina, U.S.A... Successful aviation history had just begun in the early 1900’s and continued evolving to the present day jet airliner. The first World War commenced on June 28, 1914, with the assassination of Archduke Francis Ferdinand, heir to the throne of Austria-Hungary (the Ottoman Empire) in Sarajevo, Bosnia. The murderer, Gavrilo Princip, belonged to the Serbian terrorist group - 'Black Hand' and there was an excuse, with their German ally, that the Austria-Hungary Empire would now declare war on Serbia on July 28th, 1914. Germany tried to prevent the war from spreading but on July 30th, Russia announced it would mobilize. Germany declared war on Russia on August 1st and two days later also declared war on France. The German army en route to France marched through Belgium which then caused Britain to declare war on Germany August 4th, 1914. In May, 1915 Italy entered the war on the side of the Allies with the hope that the Italian front would help Russia on the Eastern Front. The Dardanelles was pulled into the war when the sea route between the Aegean Sea and the Black Sea was closed. Romania joined the Allied forces in August, 1915. 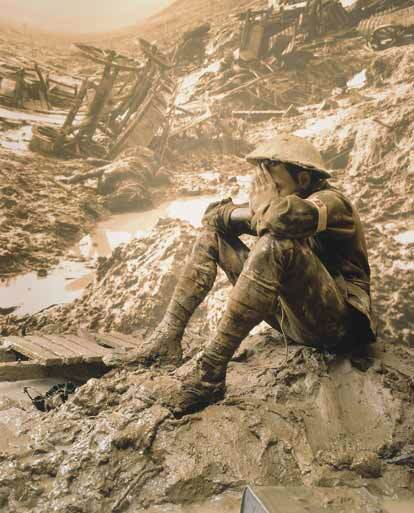 Following the 1916-1917 battles at Verdun, Ypres and Passchendaele; Britain and France saw hopes of victory shattered. On April 6th, 1917, the U.S.A. declared war on Germany. On May 7th, 1917 a stark reminder of war on civilians occurred when a German U-boat torpedoed without warning the British passenger liner ‘Lusitania’ off the coast of Ireland with the loss of 1,198 passengers. 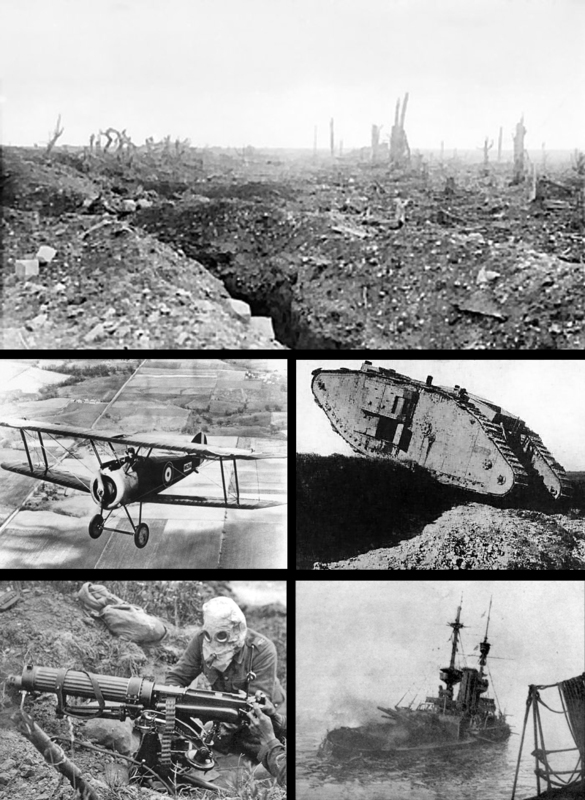 Weapons of aggression are developed quickly during wartime and the First World War introduced the aero plane, submarine, tank and automatic machine gun as well as poison gas first used by the Germans in April, 1915 during the Second Battle of Ypres. 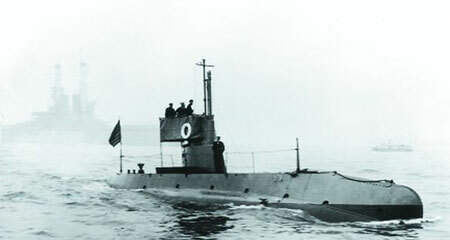 Britain ruled the seas with a very large, efficient Navy which caused supply problems for Germany. 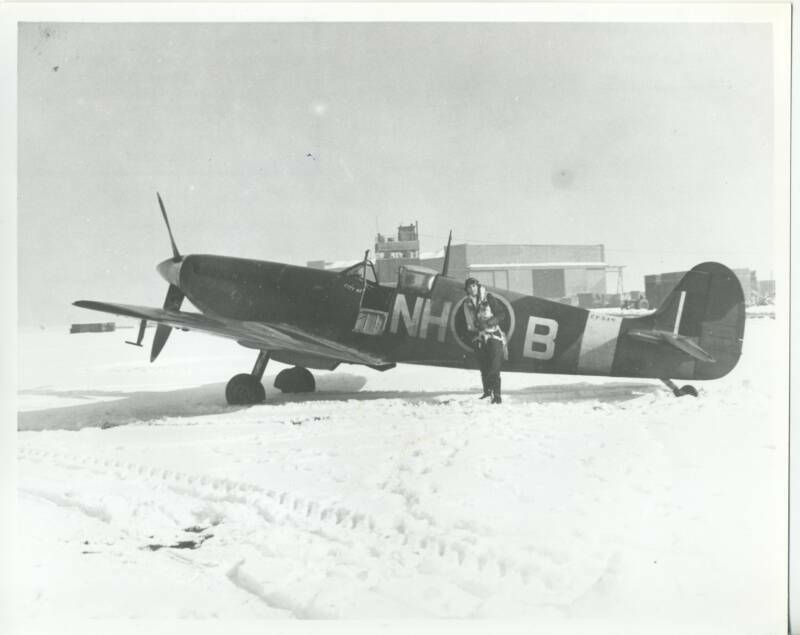 War in the air was in its infancy but some Canadian Army personnel who volunteered for air pilot training found that preferable to the ground fighting. 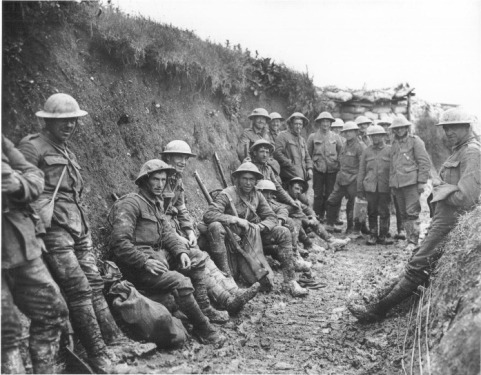 Warfare in the wet and cold trenches resulted in much disease. 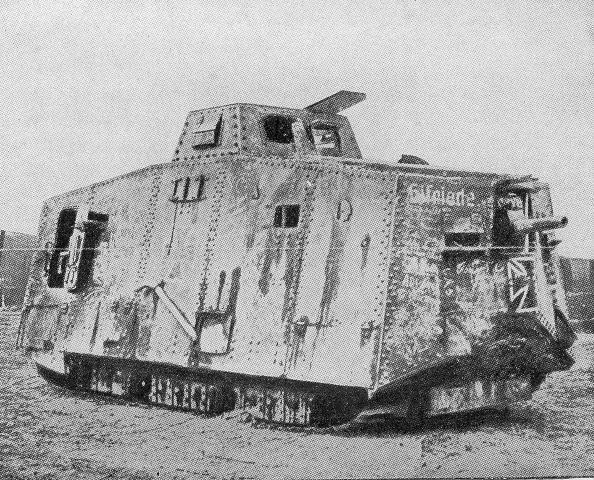 Machine guns and large artillery guns (Big Bertha) caused death by the hundreds of thousands and much disfigurement of the wounded. 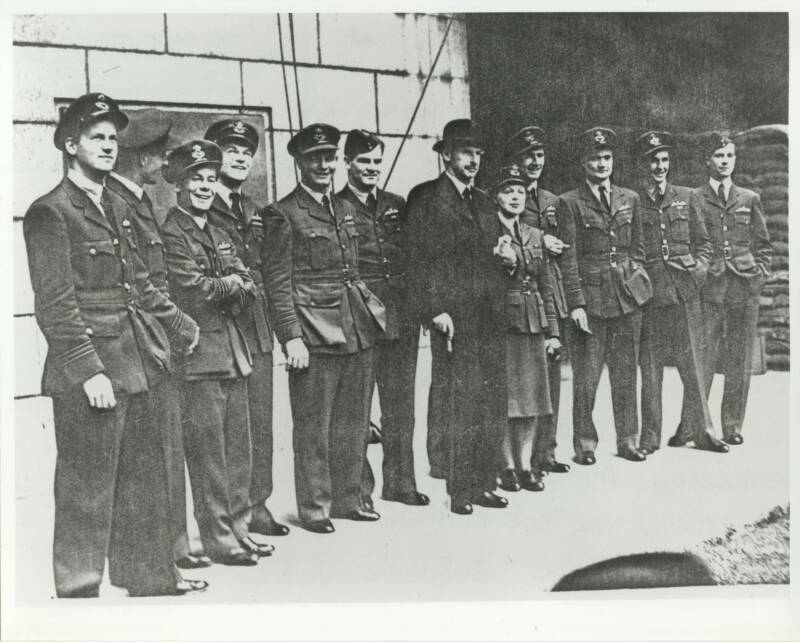 As Canada did not have its own air force, our volunteers joined the Royal Flying Corps of Great Britain. Early air service was most dangerous not only because attempts with mounted machine guns shooting off propellers but also because the wings of planes might fall off in a steep dive. The aerodynamics of the early models was not perfected. The parachute development was initially non-existent until early 1917 and survivors who had to ditch were very lucky. 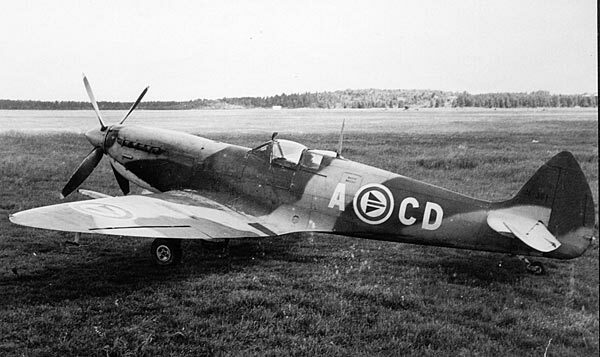 Significant advances in aviation were made by the Allies and in Germany, but still very much experimental. The British flew Nieuports and Sopwith Dolphins. In 1915, Germany built the Junkers J 1, which was the first all-metal body and cantilever wings and then built the Fokker D V11 in 1918. It was known for its climbing ability; then there was the red Albatros and Jagdstaffel 11. The German fighter pilot ace Baron Manfred von Richthofen and Canada's 'Billy' Bishop V.C., were equal rivals. 'Billy' Barker, V.C. 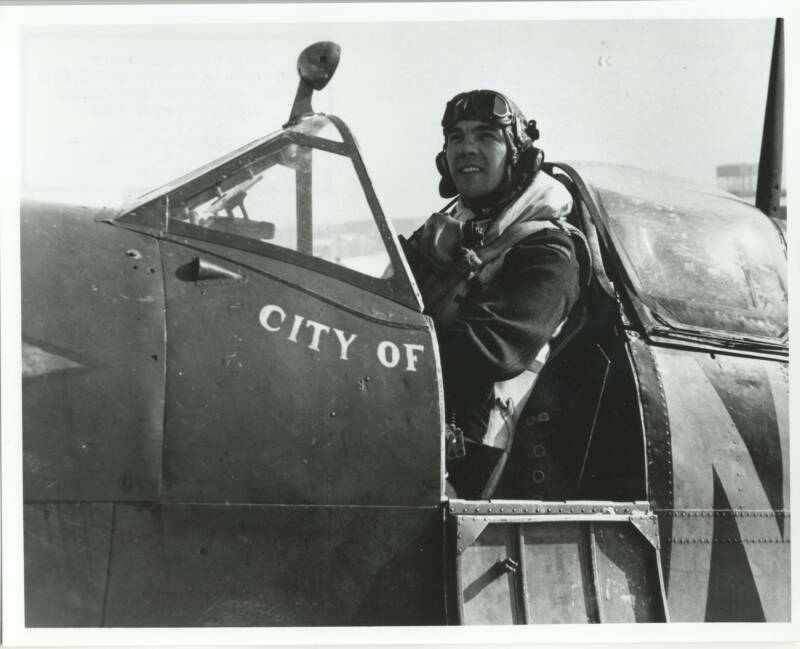 of Dauphin, Manitoba was honored by Bishop when he said "Barker is the greatest pilot … ever". Germany also used the airship 'Zeppelins' to drop bombs on London and other British cities which had little effect on the outcome of war. 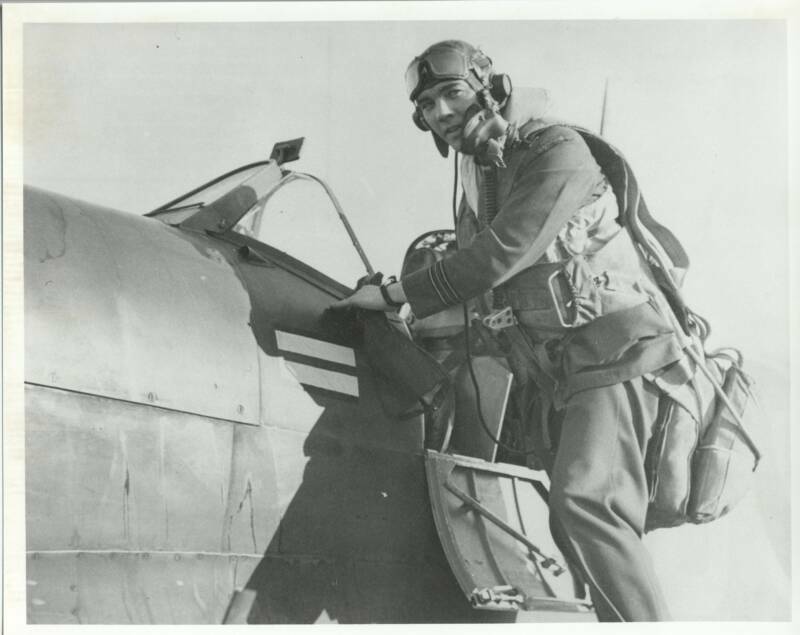 In fact, pilots simply carried guns or had a second airman operating a machine gun to shoot at other planes. When the propeller and machine gun were finally synchronized, the ensuing deadly 'dogfights' were then common sights in the air above the trenches. The Allied armies won major victories on all fronts in 1918 and Britain's naval blockade had nearly starved the German civilians who then demanded peace. Kaiser Wilhelm gave up his throne on November 9th, 1918 and fled the Netherlands. On November 11th, 1918, the German Army accepted the armistice terms demanded by the Allies. The war caused immeasurable destruction and was called “The Great War”. 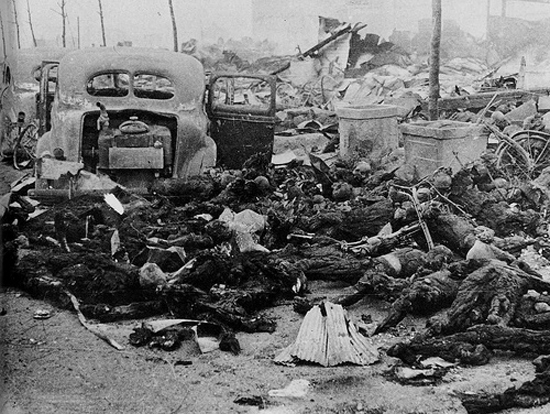 Nearly 10 million soldiers killed and nearly 21 million were wounded. No one knows how many civilians died. Property damage was greater in France and Belgium than anywhere else as armies destroyed farms and villages when they passed through. Economies were in shambles. For example, it was estimated that the war was costing $10 million dollars per hour in 1918. Governments borrowed heavily by selling War Bonds. Allies borrowed from the U.S. and most governments printed more money to meet needs. That caused wild inflation and shook the foundations of several governments. 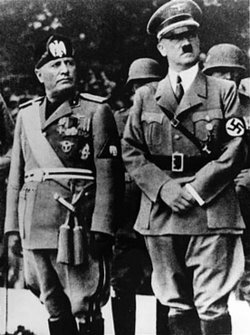 The Peace Settlement demanded that Germany be responsible for the war debts, particularly for the debts of major European Allies. Of course this settlement was impossible for Germany to meet, and run-away inflation was the result in the early 1920's when Germany printed additional money. 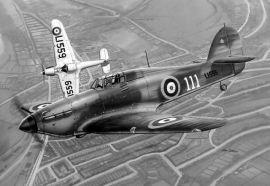 The young men of the former Royal Flying Corps and Royal Naval Air Services, who joined in mid-war as the R.A.F fliers, had now come home from overseas to Canada. In twos and threes and fives and tens they slipped quietly into town; unhonoured, no, but unsung. From ships and Pullmans, young men in uniform, wings on their breasts, wings underlaid on hundreds, if not thousands, of tunics with the ribbon-strips which bespeak dauntless courage. These were pioneer adventurers; airmen. Now, as civilians looking for jobs, they often found that too many men were seeking the same job, and unemployment was growing in leaps and bounds. The worldwide spread of Influenza of 1919 killed more people than did the war. The air force in Canada was non-existent, at least for a few years, until April 1st, 1924 when the Royal Canadian Air Force came into being. Government attitudes varied from apathy with little operational money to downright disapproval in 1932 when world economic conditions struck a new low level and the force was more than decimated. But like so many other nations with enormous expenses for unemployment relief and other urgent needs, Canada had chosen to ignore the rumblings war until 1939. 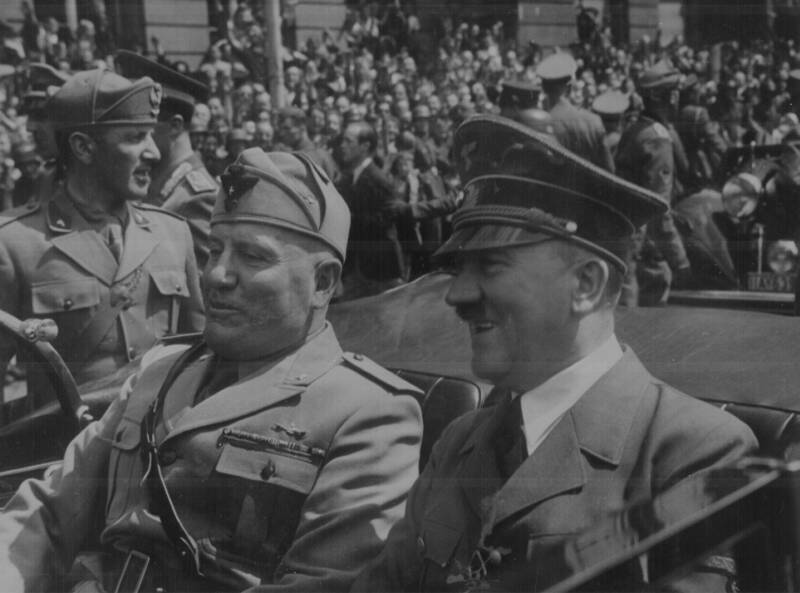 During this period, (1932-39) Germany began to re-arm and build-up it’s military. Canada’s air force was a very small (perhaps 500 people) with badly outdated equipment. It was only through extreme enthusiasm in 1939 that the Canadian Air Force was revived. The British Commonwealth Air Training Plan agreement was signed by the Canadian government on December 17th, 1939 with Great Britain to build 60 airfields and 70 schools for pilot and aircrew training men from Australia, New Zealand Britain as well as Canada (25,000 per annum) ground-crew and others for the war effort. Soon, many young men and women volunteered to join the air force to free the world of tyranny and these plans had to be revised upwards. Again, it can be considered that these young airmen numbering in the tens of thousands were pioneers in the field of aviation. 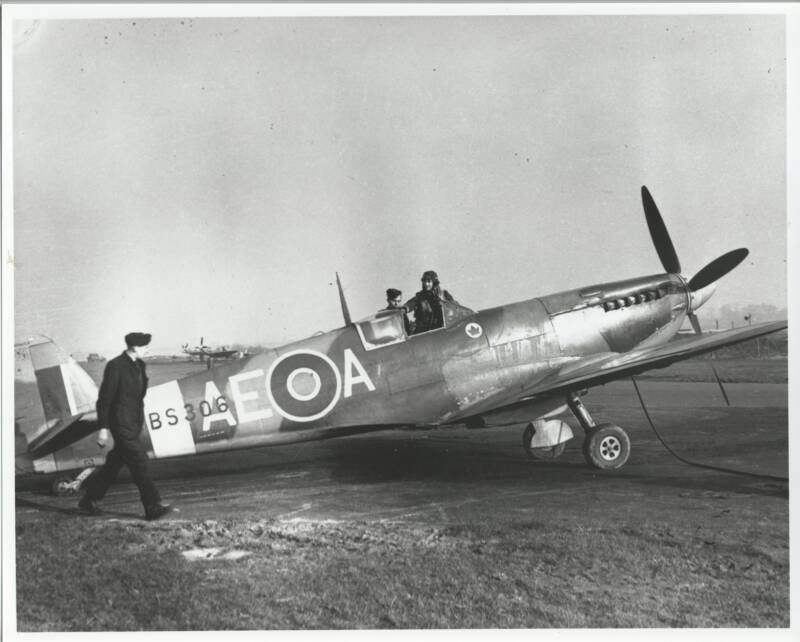 Similar to the planes of the First World War, the Hurricanes and Spitfires were equipped with machine guns and bombs; new radio and radar equipment and the briefly trained pilots stepped from their training planes in Canada into the fighter planes in England, ready to meet the foe. Halifax and Lancaster Bomber pilots were trained to fly the two and four engine bombers with a payload to drop over Germany factories in bomber waves of 700 or 800 planes. The US air force (B-17s) delivered their bombs by daylight and the British delivered their by night. 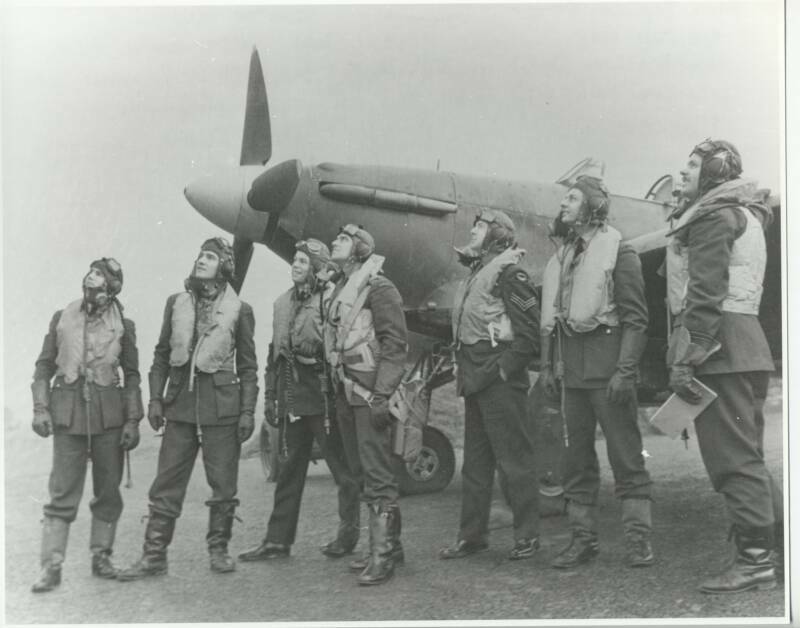 Canadians were a part of Britain’s Bomber Command while our fighters squadrons were often our own. 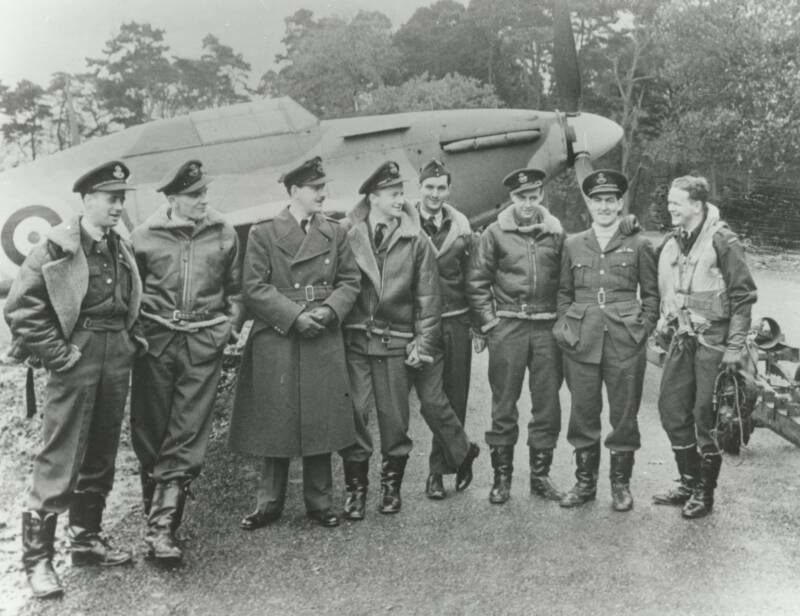 Some fighter pilots had volunteered as part of the Royal Air Force for the Battle of Britain and took their training in Britain. Others, of the BCATP were trained here in Canada and then sent overseas making a significant contribution to the war effort. The German V2 rockets delivered their payload on London as did the dreaded Doodle Bug bombs. Jet engine airplanes were being developed in both England and Germany. When peace in Europe (VE) was finally declared on 6th May, 1945, many pilots and aircrew returned home. 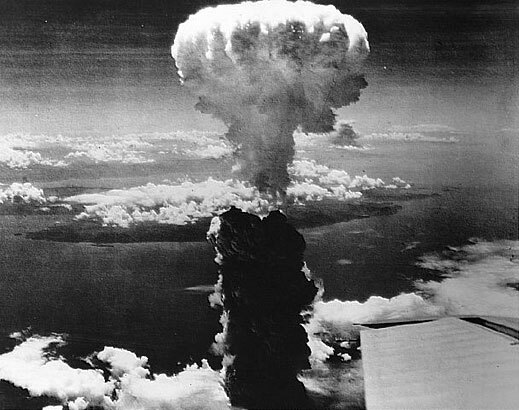 The war with Japan then continued in the Pacific until the dropping of the Atomic Bomb on Hiroshima and Nagasaki in August and final surrender of Japan (VJ) occurred September, 1945. In addition to the jet engine being introduced during wartime, the atomic bomb brought us into a power struggle with Russia, aptly named the “Cold War” which was a test of nerves. Neither Russia nor the U.S.A. wanted to start a war, but neither would lay down their arms until the 1990’s. Other less intense, but still very serious wars of Korea and Vietnam and presently the Afghanistan/Iraq war would always remind us of world-wide wars. Of course, we all hope that there will be peace in our time.